Abseiling from the top of One Island East is no ordinary challenge. This is a not to be missed opportunity to scare myself silly (I’ve done a lot of mountain climbing but skyscrapers are something else..) in support of Outward Bound – an organization enables young disadvantaged people to see the world from a totally different perspective – way beyond that of a smartphone screen – and to understand what they are really capable of achieving in life. I am taking part in HK Vertical 1000 as a way to challenge myself and to raise money for those who face much tougher challenges every day. Bright Future Charitable Foundation (BFCF) is a strong supporter of Outward Bound Hong Kong and Outward Bound Alumni Association (OBAA) for years. I am deeply honoured to represent OBAA to do this inaugural V1000 for BFCF. We are all grateful for the opportunity to help raising funds for the School. 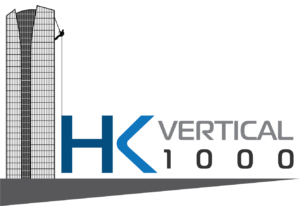 I’m excited to have the opportunity to be one of the HKVertical1000 challengers. Can’t wait to enjoy the spectacular view from the top of the most iconic building in the Island East where I live and go to work. I hope this experience could inspire others to step out of their comfort zone (mobile phones), see things from a different angle and live life to the full (or fool)! Great thanks to my sponsor Mr St John Flaherty, my colleague Audrey Li who spares her seat to me and the Swire Company. Managing Director, Fat Kee Stevedores Ltd.
What a lifetime experience and to support Outward Bound HK for the program it delivers to our community. I am looking forward to HK Vertical 1000 which is supporting the excellent cause of raising funds for Outward Bound Hong Kong. My first experience of many to the high mountains of the world was to Kilimanjaro on a trip organized by Outward bound. I have always been impressed by their programmes and their work in the communities in which they operate. While most of my life has been spent on business matters, one of my chief pleasures is trekking and climbing in the mountains where I have done many abseils in interesting places. But since my school days in England over 50 years ago, when I used to abseil down the school tower, this will be my first abseil down a building and definitely the longest abseil I have experience anywhere! I fully support the aims and values of Outward Bound. I believe in the power of sport, and physical outdoor adventures to change lives, to inspire confidence, and develop resilience in young people of all ages!. We are all at our best when we challenge our perceived limits. For me the opportunity to abseil down One Island East, one of Hong Kong’s iconic buildings is a unique challenge I cannot resist ( even though it feels terrifying!). Knowing that the event will raise funds for such a good cause gives me extra incentive to overcome my fears. I first learned to abseil at the Outward Bound School in Hong Kong, many, many years ago. I then went on to do another land and one sea-based course with them and still do a lot of outdoor activities – hill walking, cycling and jogging. I know that this event is a bit extreme, especially as I am now old enough to have retired, but I feel that it would be good to come full circle and give a bit back to OB, and to possibly inspire some younger people, who may be unsure of their capabilities, that if a retiree like me can do these things, they could too. My descent is dedicated to my lovely wife, Grace, who sadly passed away this year. I am a tech serial entrepreneur with great passion for Enterprise Cloud Transformation, Digital Marketing and Silicon Valley startup investing. This awesome challenge marks a great milestone as I just turned 40 this year. Quote by Helen Keller “Life is a great adventure or nothing” Participating Company – ICG. Help Andy raise funds by making a donation here. I decided to do this challenge because I wanted to know how it feels to be dangling outside a 300m tall building! And of course it’s for a good cause. I am joining the event from Switzerland as two of my friends in Hong Kong told me about the good work Outward Bound is doing for young people there. I hope by participating that I can help raise more funds for less fortunate youth who can benefit from a course in the great outdoors. HK Vertical 1000 is one of the most exciting charity event in Hong Kong. I can’t wait to join! Love to take risk, get my adrenaline pumping, and help people as well! I would love to take up this breathtaking challenge to support Outward Bound. It is also a very unique opportunity for me to experience to have a 1000-foot drop. YOLO! I believe in the idea of youth empowerment. This is the reason why I actively participate in different youth leadership programs, debate coaching and youth research. It’s always good to inspire others and of course be inspired through your work. A Hong Kong marathon runner and sports fever. I want to challenge myself ,I like to learn so I like to try new things and try to keep growing. I am psyched to participate this OBHK’s initiative, having started my career as an OBHK instructor. I look forward to overcome this abseiling challenge and add to my bucket list of being a life adventurer, from diving down to deep oceans to doing Spartan and what not. It is always good to step outside my comfort zone, and joining the HK Vertical 1000 is my first step. We can’t help everyone, but everyone can help someone. When I know HK Vertical 1000, the most ambitious charity event in Hong Kong, is held by Outward Bound Hong Kong, I just can’t wait to join it, to make a difference in my life and to make a difference in someone’s life. I am doing it as a means to raise money to support Outward Bound in Hong Kong, which is a tremendous organization that gives young people access to our wonderful outdoors and wild spaces. I firmly believe that outdoor education provides tremendous opportunities for leadership, teamwork and pushing oneself in often beautiful and fragile environments. Participating Company – Deloitte. I am always ready to accept new challenges. With Mr CC Tung’s support, I got a chance to join HK Vertical 1000 – a unique event you can find in HK. By taking this challenge, I hope it can raise fund for Outward Bound to support young people. Just can’t wait to enjoy this unique experience and the beautiful view of HK from the top of One Island East on 9 December. I was born and raised in Hong Kong. Ever since I was a little girl, I enjoyed challenged myself to many different things, like Bungee jumping, Rock climbing, Sky diving, etc. Over the years, these challenges and experiences had enabled me to positively face obstacles and difficulties in life. When I first learnt about the HK1000 challenge organized by the Outward bound, I was so surprised and yet excited. I took this up without a heartbeat. I believe this not only is an one off extremely rare opportunity, but also an experience of a life time that will make a permanent impact to my life. I sincerely thank Lee Kee Group for sponsoring me, and I will be looking forward to take part in this remarkable challenge. Participating Company – Lee Kee Group. I was born and raised in Austria to a family of 5 kids. Since my earliest memories I spent most of my time in the mountains either through skiing, hiking, climbing or canoeing. More than 7 years ago I moved together with my Sophie to Asia and have since been missing the alpine flair of my home-country. Taking part in HK Vertical 1000 brings me closest to what I love most – being outside in scaling and dizzy heights and overcoming one of human’s deepest fears. A birthday present to myself of a new experience and a chance to contribute to a cause which I believe makes a difference! I used to be a high school teacher, pick up challenge and work out my dream is the best way to teach the youths. HK Scottish Stag Eddy Ho has been chosen by the HK Scottish Stags football team to take on Outward Bound’s inaugural 1000 feet abseil due to his constant commitment and teamwork brought to our squad. Normally seen flying down the wing on a Saturday or descending into Joe Bananas; Eddy has put himself forward for this event for the adventure and charitable cause. Thanks to our donor for this opportunity! When I heard about the Vertical 1000 I was in equal parts fascinated and terrified. Life’s most memorable experiences often fall into this category so when the opportunity arose to participate I jumped at the chance. Encouraging youngsters to push outside of their comfort zone and as grow as people is what Outward Bound aims to achieve through their programs. So it feels that this is a very appropriate fundraising event for this charity and I feel privileged to be able to take part. As a videographer, I’ve worked closely on a few projects with Outward Bound HK, and during my experience learned just how beneficial the outdoor programs is for the young minds and disadvantaged youths of Hong Kong. When interviewing the students, I learned a lot about the demanding realities of schooling here and just how much Outward Bound can influence there lives, opening their eyes to new experiences and Providing opportunities they wouldn’t have once had. I sincerely thank my dad Stephen Taylor for sponsoring me for this thrilling experience and massive thanks to the Outward Bound team for organizing such an extraordinary event. Why am I participating in the HK Vertical 1000 challenge? Why not? I took my first Outward Bound course at age 10 (when I tried abseiling for my first time), and have taken 2 more other Outward Bound courses since then. Taking part in this challenge not only can raise fund for and promote Outward Bound in Hong Kong so more people can benefit the life-changing courses, but can also challenge myself and get to experience something that I only see people do in action movies. You know who you are! Thank you for your support.